My skin hates oil. No one in her sixth decade should have to tolerate pimples (isn’t white hair enough? ), but if I’m not careful what I put on my face, that’s precisely what happens. The obvious answer is to skip the oil and even creams. However, my face is also turning into my mother’s face—complete with WRINKLES all over the place. (She was over ninety; it’s not fair.) Living in an environment that’s only slightly more humid than Death Valley doesn’t help. I have a compromise solution I found online: coconut oil. I read that it’s mildly antibiotic and antifungal—perfect for washing skin. No, I don’t believe everything I read online, but desperation calls for risky behavior. I decided to use my wholesale size jar of coconut oil in my bath. 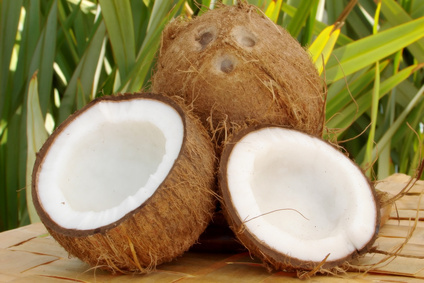 After all, coconut oil is far less expensive than the fancy magic potions sold with cosmetics. The coconut oil in the jar was white and looked like old-fashioned lard—the stuff that’s left over after you fry bacon. On the side of the jar it said coconut oil liquefies at 76 degrees Fahrenheit. I scooped out a generous portion (I wanted to treat my whole body, after all) and dumped it into a hot bath. True to the promises, the oil melted into the water and I melted into the oil. When I emerged from my bath, my skin felt silky and I smelled like a good night in Hawaii. Hooray! And then the pipes clogged. What goes up must come down—I knew that. What I forgot was what liquefies will solidify—not as catchy as a phrase, but very dramatic, as it turns out. My coconut oil joined with lost hair and created a truly impressive white clog WAY DOWN in our pipes. A hole in the wall, all kinds of clog snakes, and many dollars later, the clog was vanquished. I was told if we lived in a city with bigger sewer lines than those that lead to our septic system, I might not have caused the minor disaster. I don’t and I did. I no longer dump quantities of coconut oil into my bath. (I need to preserve my marriage.) Instead, I squish the white lard-like substance into a small jar that I submerge in my bath. Then, when the “lard” has turned to oil, I pour a small amount on my facecloth and scrub my face. Then I rinse my facecloth and wipe my face again. So far, the teeny amount that ends up in my water whooshes down the drain with the wastewater. My husband tells me the effect is good. I’m not wrinkle-free but my skin looks better. I’m waiting for the final verdict about pimples. So far, so good. I did find liquid coconut oil in a health food store, but I’m nervous now, so I didn’t try dumping that in my bath. Supposedly, it would go down the drain as ordered. I can’t risk it until my husband forgets the infamous clog incident. This entry was posted on December 13, 2014 by Personal Journeys with Gramma in Life Stories and tagged Aging, Antibiotic, Antifungal, Clogged Pipes, Coconut Oil, Dry Skin, featured, Hydration, Life Stories, Moisturizing, Pipe Solution, Rejuvination, Skin Health, Washing Skin, Wastewater, Wrinkles.